In the video, Steve describes his current “No. 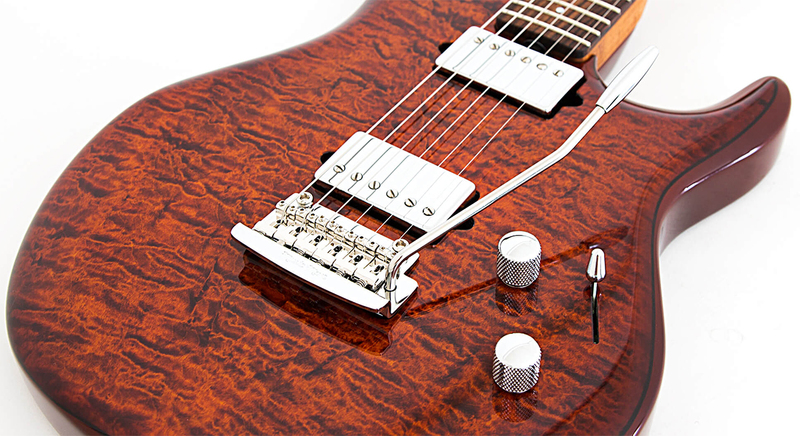 1” as the Ernie Ball Music Man LIII Ball Family Reserve loaded with signature DiMarzio Transition pickups and a +15 dB boost. Also shown in the video is a custom EBMM LIII, “Sammy,” which is basically the same model but with a custom, one-off finish featuring images of Sammy Davis Jr and our CEO, Sterling Ball. Listen to a full demo of the LIII BFR and head to Music-Man.com to find a dealer.